New Videos from the Reptile Rangers! The Black Rat Snake is one of the most misidentified and misunderstood snakes. Herpetologist Chad Griffin of the “Reptile Rangers” helps people understand the value of this amazing creature. Want to know how to help a turtle safely cross the road? Check out our new video below! 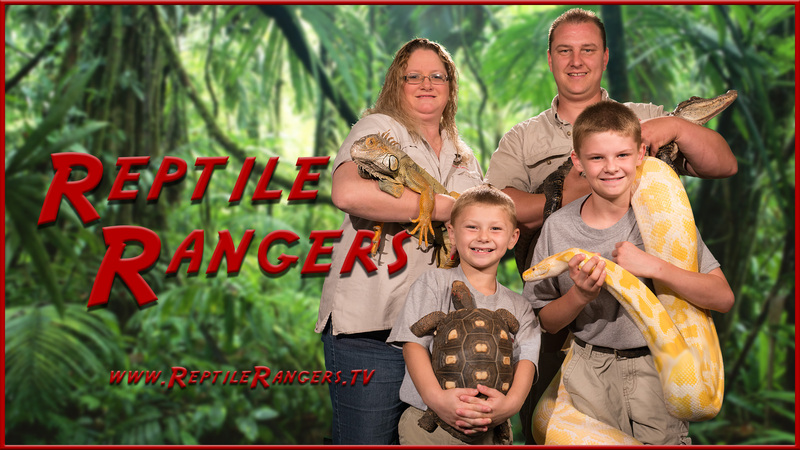 The Reptile Rangers are the Griffin Family, Chad, Cristina, Sabastian and Balian Griffin – An incredible family with a knowledge and love of reptiles that will move and impress you. Whether it’s snakes or tortoises, iguanas or geckos, gila monsters or Argentine tegus, you won’t find a more knowledgeable group than this loving, close-knit family. Learn all about this incredible Family by watching this introductory video. Chad and his youngest son, Balian, are called to a golf course to check out some baby snakes that were seen there. Along the way you’ll learn all about egg laying reptiles, including watching a Sulcata Tortoise laying eggs and a Corn Snake laying eggs. You’ll even see a baby Ball Python moving INSIDE the egg, before it’s even born. Snakes are not all out to get you. When Chad and his eldest son Sabastian are called to remove an infestation of venomous Copperheads from a woman’s property he helps us all understand theses amazing creatures. High-Speed slow-motion photography shows a venomous Western Diamondback Rattlesnake in glorious detail as it strikes. Moncoled Cobras, Tanzanian Puff Adders, Copperheads, Gaboon Vipers and Rattlesnakes are all shown and examined as Chad shares his love for these awesome, and often misunderstood creatures. Ever wondered how you can be sure it’s a copperhead? Identification is easy once you know what to look for. In this very short, 60-sec tutorial on Copperhead Identification, Chad Griffin shows you what to look for so you’ll be able to recognize a venomous copperhead when you see one in this little “Bite” episode.